UCF got its shot this college football weekend and dominated the headlines the chatter, and the scoreboard. But UCF needs to be careful with what they wish for. You may be the best football team in the state of Florida but you’ve also become the most hated fanbase in the sport. A monster crowd showed up on campus for ESPN’s College Gameday. Whether or not this was a record crowd will be determined but, no matter what the final numbers show, it was impressive. Estimates range from between 15,000-20,000 fans were on hand to egg on the premier pregame show in sports. UCF looked good on TV and so did the fan support but the whining has to stop. UCF beat a Cincinnati team that may be pretty good but the Bearcats have beaten no one outside of UCLA and USF this season and lost to Temple. You simply cannot rate a victory over Cincinnati the way you would wins over teams like LSU, Georgia, Penn State or West Virginia. UCF is not going to the playoffs but they might turn out to be worthy of one of the four spots since there is a lot of football left to be played. I would likely favor an undefeated or a one-loss Power 5 team over UCF but I would go with the Knights over a two loss team. Before we toss UCF to the scrap heap, we should let the season play out and keep our ears open for the booing you hear at other schools when the name UCF is mentioned. 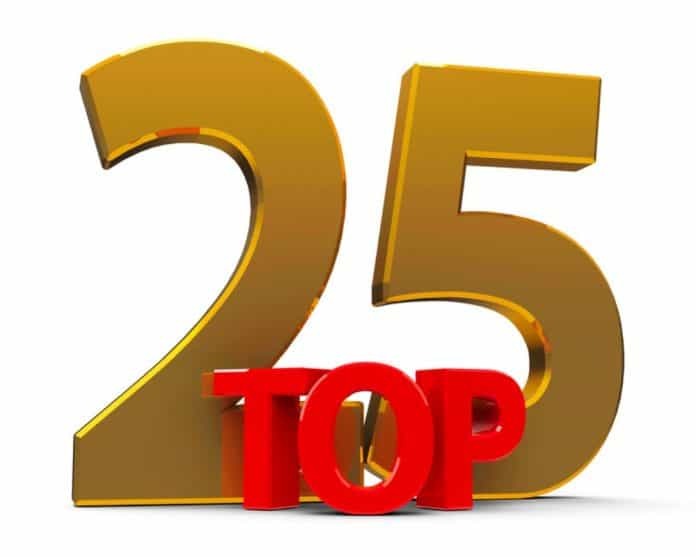 Here is my Top 25 for the week beginning November 18th. Alabama (11-0) They SHOULD roll over arch rival Auburn. Clemson (11-0) They WILL roll over arch rival South Carolina. Notre Dame (10-0) Syracuse wasn’t even a challenge. My opinion of the Irish is high again. Michigan (10-1) Wasn’t easy but surged past Indiana. Georgia (10-1) Only loss is at LSU but wins over Kentucky and Florida not as good as Michigan’s wins. Washington State (10-1) Scored 69 against Arizona. Apple Cup is next. UCF (10-0) What the nation saw Saturday is what I’ve seen all season. Oklahoma (10-1) I am not sold on this team. That defense is awful. Ohio State (10-1) What the heck is going on in Columbus? A good pass on a two point conversion by Maryland would have beaten them. LSU (9-2) Finish with Texas A&M which should be a terrific game. West Virginia (9-2) Could not pick a worse time to falter. Now are out of the playoffs even with two wins in a row over Oklahoma. Texas (8-3) Throttled a pretty good Iowa State team. Penn State (8-3) Wins not great but have only lost to top teams. Florida (8-3) I am not a believer in this team but they did beat LSU. Washington (8-3) By virtue of head to head over Utah. Utah (8-3) Going to the Pac 12 Championship. Utah State (10-1) Struggled at Colorado State but still a high powered team. Boise State is next. Cincinnati (9-2) Tough team but UCF had way too much offense. Kentucky (8-3) This team is fading fast. Barely handled Middle Tennessee on cupcake Saturday. Syracuse (8-3) By virtue of win over NC State. Mississippi State (7-4) They’ve performed almost exactly as expected this year. Boise State (9-2) Utah State next for the division in Mountain West. Auburn (7-4) Washington and Texas A&M wins good, Tennessee loss bad. NC State (7-3) Wins just not there. Texas A&M (7-4) Would you consider Army, Fresno or UAB here? I favor A&M over all of these. Jimbo’s men beat UAB this week. Agree. So, say the committee has UCF ranked #9 after this week and this is what occurs to the teams above them over the last week and championships….. USC beats Notre Dame, Ohio State beats Michigan, West Virginia beats Oklahoma, Washington beats Washington St, TA&M beats LSU, Alabama beats Georgia. And finally, Pittsburgh either beats Clemson or gives them a really good game. Then, the 4th spot would have 2 losses. If Notre Dame is not in the top 4 due to their loss, then the 3rd and 4th spot candidates would have 2 losses. Couldn’t UCF squeak in if they blow out there last two opponents and the defense plays well?